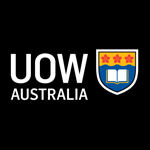 The University of Wollongong is a young, internationally recognised university with a personalised approach that encourages bright minds to collaborate through learning and research to deliver world-class results that have impacts across the globe. Its students, graduates, academics and researchers study, work and collaborate right across the world. Through its global network, University of Wollongong is advancing social, environmental and economic development on an international scale. The HEARing CRC works closely with the University of Wollongong’s Intelligent Polymer Research Institute (IPRI) and the ARC Centre of Excellence for Electromaterials Science.